Next summer sees the release of Godzilla Resurgence, the first Japanese film to feature the King of the Lizards in a decade. 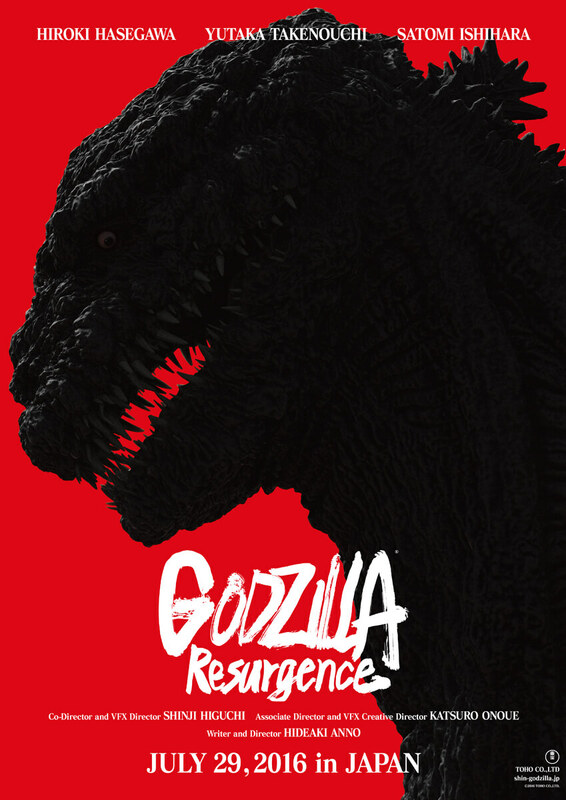 Written and directed by regular anime helmer Anno Hideaki, and co-directed by Higuchi Shinji (Attack On Titan), who is also handling the special effects, Godzilla Resurgence is being touted as the largest incarnation of the creature to-date. 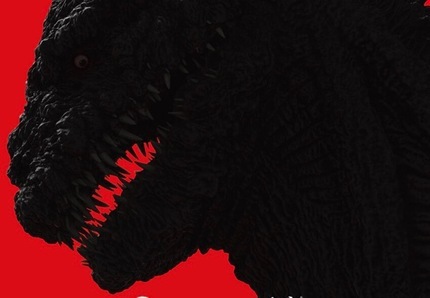 We now get our first look at Godzilla himself, courtesy of the teaser poster below, which definitely seems to be pushing a scarier image of the creature than we have seen in the past. The first teaser trailer has also dropped, and while it gives very little information about what the film is about, does seem to suggest that this new film will have a grounded, realistic, and pretty terrifying tone. Godzilla Resurgence stars Hasegawa Hiroki and Ishihara Satomi (both of whom starred in Attack On Titan) alongside Takenouchi Yutaka and is scheduled for release in Japan on 29 July 2016. Um, not really digging that design at all. So, as revenge for permeating American culture with a virtual smorgasbord of horror movie ghostly-white-skinned black-pit-eyed palsy children, we've returned the favor with almighty cliched shaky-cam? Is that poster official? Because it looks less serious and terrifying and more like someone photoshopped googly eyes onto it. I actually really like the character design. The needle-like teeth growing every which way, and the tiny googly eye are pretty creepy, and it looks like even with modern effects, they may have found a way to preserve the rubber suit charm. As for the movie, we'll see but the teaser did nothing for me.